Camelot and the Order of Tarot collide as the history of how they are intertwined is revealed. This is not the first battle between Merlin and his knights vs. the Emperor and his court…but it certainly will be the last. Shang is learning some information about Merlin, Camelot and Tarot – and how they are all linked. It seems that Tarot has more problems than we originally thought. We get a lot of background here, and it looks like it’s going to be all out war. Merlin and his brother – the Emperor of Tarot have a lot to fight against, and it will be interesting to see where Skye and the rest fit into it all. It seems Earth will be the battleground. The final page gave us a nice reveal and works in well with the rest of the story! A new Van Helsing mini-series. 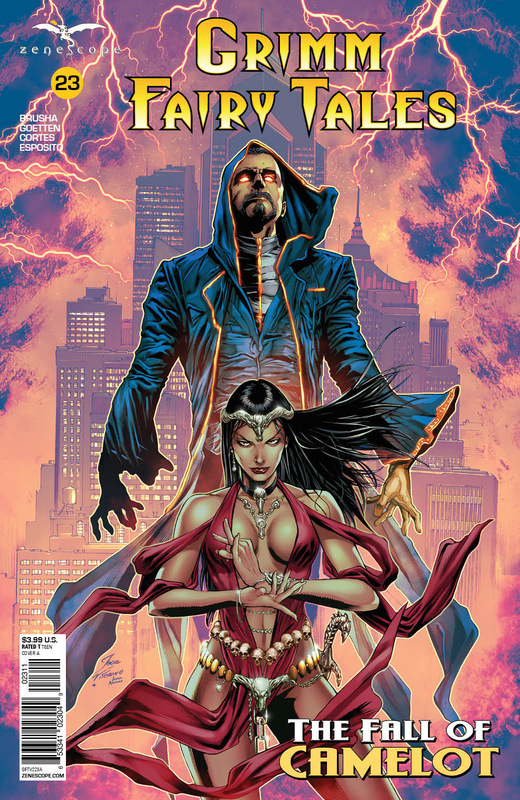 Zenescope does these so well! Van Helsing is in India. It looks like she has discovered word on another relic that will aid her in her fight against the Vampires. It’s an interesting choice of location and I like it. This look at Vampires around the world is very interesting. She even gets a warning from one as he solves a rubix cube! In the meantime, she not only has to deal with local difficulties and the vampires, it seems there are others interesting in the Sword of Heaven! 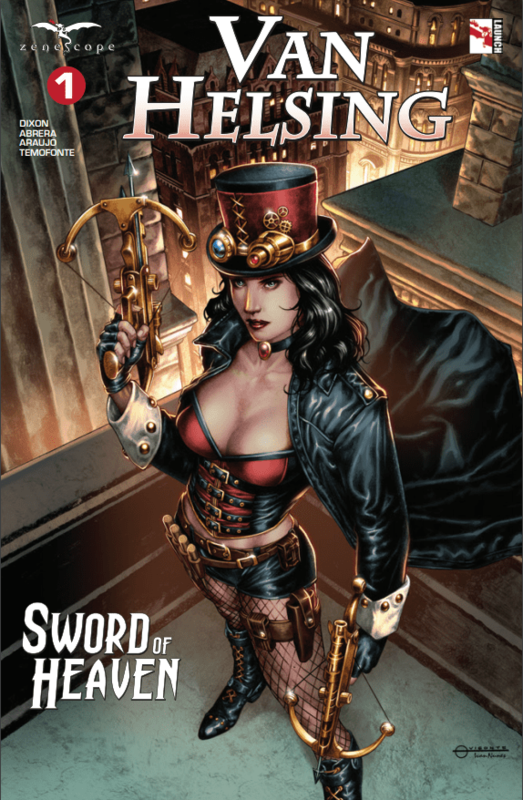 This looks to be another good Van Helsing mini series!